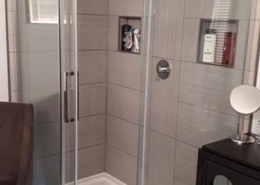 Before, these homeowners never took the time to enjoy their Jacuzzi and the luxury of having an en-suite. 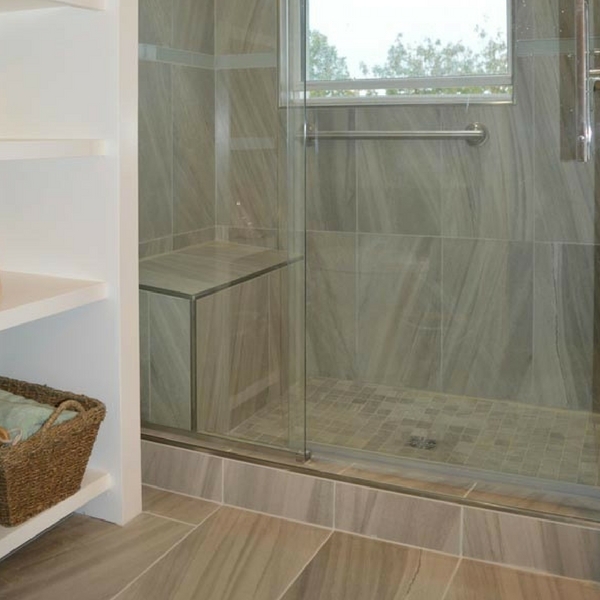 Now, they are excited to enjoy a morning view of the ocean with the warm water keeping them warm in their custom walk-in shower. 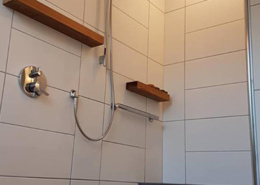 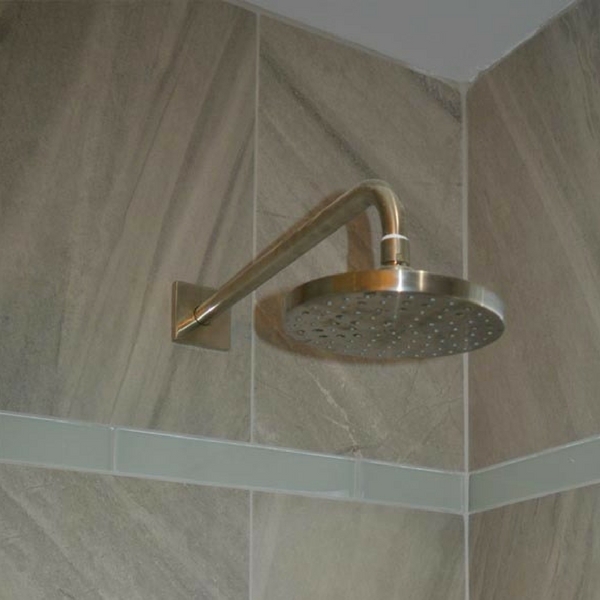 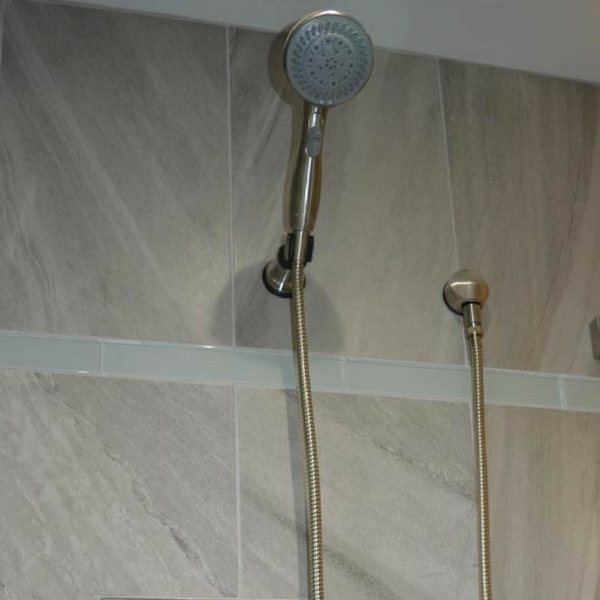 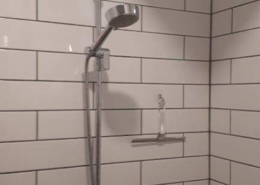 This bathroom remodel included a customer shower, equipped with two shower heads, combining the convenience of a hand held shower head for function and a rainhead shower head for relaxation and spa like feeling. 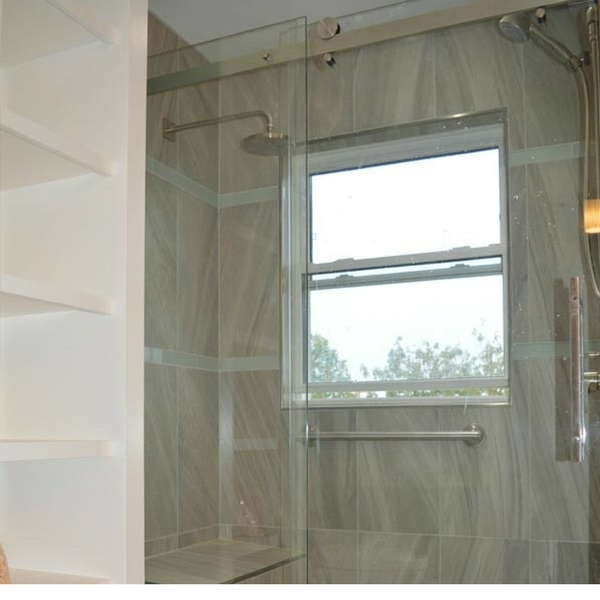 This shower also includes a double niche and a custom bench for function and maximum comfort. 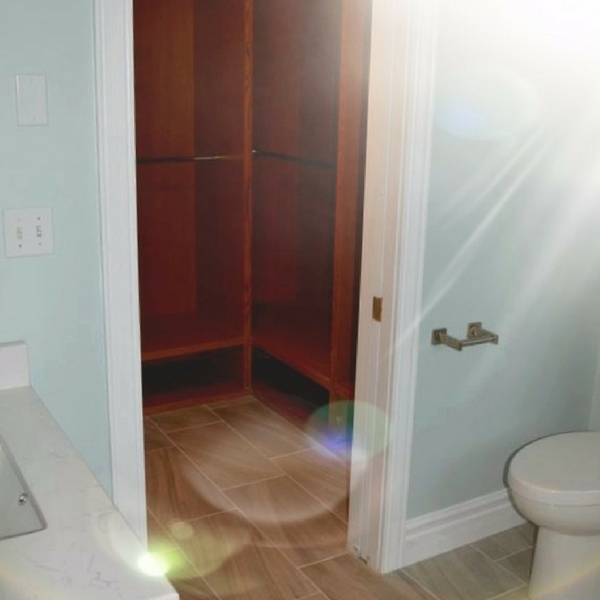 This en-suite bathroom remodel does not just stop at a beautiful luscious shower, but it also includes a spacious walk-in closet and a custom built shelving unit for extra storage. 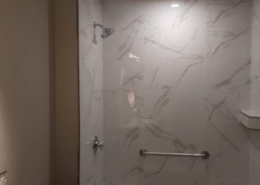 A master bathroom built for a Queen and King!